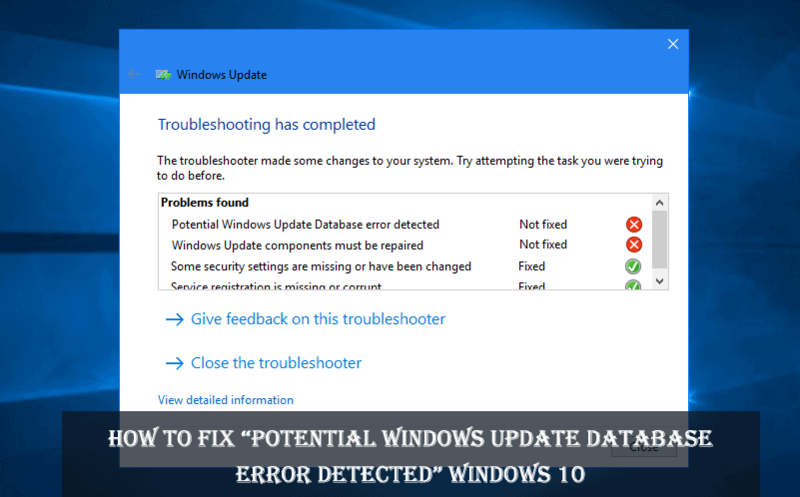 Are you the one facing “Potential Windows Update Database Error Detected” in Windows 10 or Windows 8 operating system then here know how to deal with the error message and the related information. Microsoft releases various updates on the Windows OS to enhance the overall experience of the Windows users. But updating Windows operating system is not an Easy as it seems. Commonly the updates cause various errors and issues to the users. So while trying to download and install Windows updates on your Windows 10 if stuck with the error. Then to repair the Windows 10 update issues run the Windows Update Troubleshooter, but instead of resolving the error the troubleshooter itself throw “Potential Windows Update Database Error Detected or Windows Update components must be repaired”, then this is really tiresome. 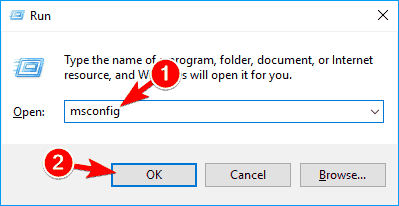 However today in this article I am sharing with you some easy fixes to resolve potential windows update database error detected 2018 easily by yourself. Why I get “Potential Windows Update Database Error Detected” issue? Most likely the error occurs in the Windows operating system when the operating system cannot access the “C:/Windows” folder or else due to bad registries issues in Windows 8 or 10. Well, there many others issues also related to Windows updates check them here – Fix Windows Update Issues. Apart from that try the below given working solutions one by one to fix Windows update error. You might be getting the issues due to file corruption so here it recommended performing an SFC scan first. Doing this will help you to repair the corrupted system files that might be causing the error. Press Windows + X Key > from the list choose Command Prompt (Admin) or PowerShell (Admin) instead. As the Command Prompt starts > enter sfc /scannow > hit Enter to run it. Now as the SFC scan is finished check the potential windows update database error detected win 10 is fixed or not. Well, if still facing the same error then try running the DISM (Deployment Image Servicing and Management) scan. This is another inbuilt utility to fix Windows Update related issues and errors. To run it, open Command Prompt as Admin > run DISM /Online /Cleanup-Image /RestoreHealth command. Wait till the whole scanning process is fixed and after that check if the issue is resolved or not. Well, if performing SFC or DISM scan won’t help you then try to refresh your PC. Open Settings app > left click on the General option. And move to the Refresh your PC without affecting your files feature. Left click on the Get Started button in Windows 10/8 feature. As the whole process is finished > restart your Windows operating system. Check if the “Potential Windows Update Database Error Detected” error message is fixed. This is a working solution that helped many users to fix Windows update troubleshooter error message. 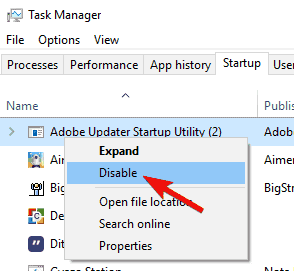 So simply disable Windows Update service and renaming the affected files. After running the commands > restart your PC, as the PC restart, try installing Windows updates again. This is the last solution, if none of the above solutions helps you to fix Potential Windows Update Database Error Detected message. It is found that the third-party applications installed on your system interfere with the Windows and causes the error message. So to locate the problematic applications, try performing a Clean Boot. Press Windows + R Key > type msconfig > hit Enter/ OK.
Now go to Services tab > check Hide all Microsoft services > click Disable all button. 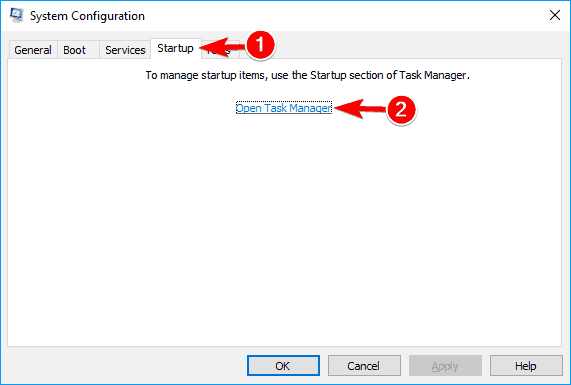 Move to Startup tab > click on Open Task Manager. 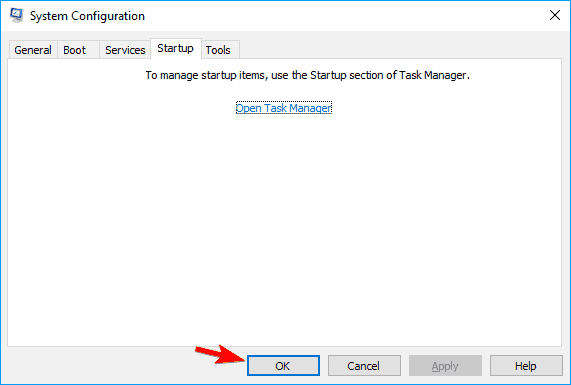 Move back to System Configuration window > click on Apply > OK for saving the changes. If asked to restart your PC > select Restart now option. To fix the cause of the problem, you need to enable disabled apps and services one by one until you find the one that is causing this issue. 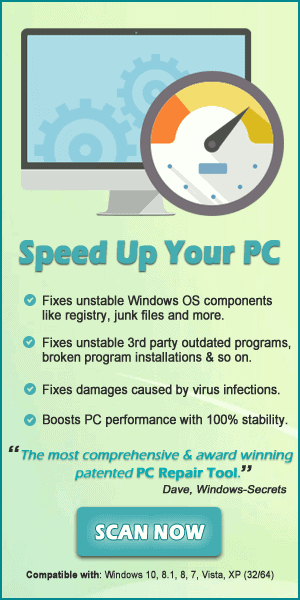 Keep in mind that you need to restart your PC after enabling a set of applications or services. This is all about the Potential Windows Update Database Error Detected error message in Windows 10 or Windows 8. I tried my best to put together the working solutions to get rid of the error and start using your Windows operating system. Apart from that always delete the temporary files and unwanted software time to time to maintain the Windows 10 PC performance. 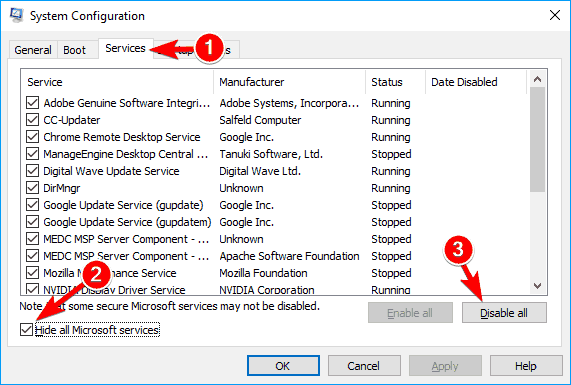 Looking how to fix Potential Windows Update Database Error Detected error message in Windows 10 or Windows 8, then here follow the given solutions one by one to fix the error easily.